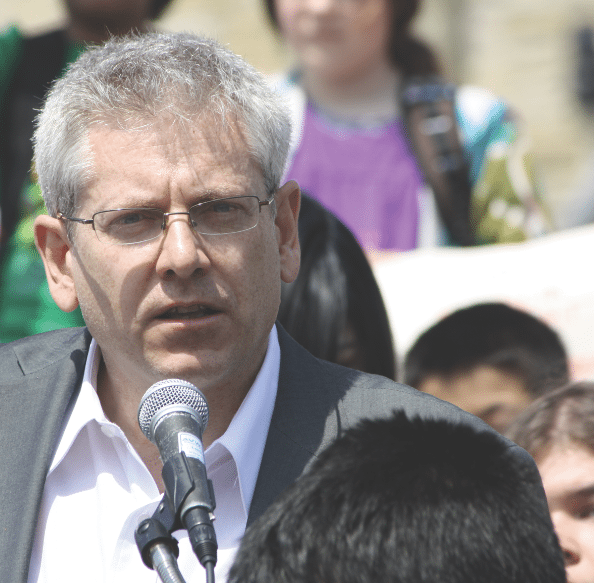 The new book by NDP MP Charlie Angus is actually worthy of all of the positive clichés of non-fiction book reviewing. The subject matter is important. The story is at times inspiring, at other times infuriating. The author’s interest in the issue is genuine and heartfelt. What makes this even more remarkable is that Angus has astutely avoided so many potential pitfalls. Angus’s book covers the systematic ways provincial and federal governments have neglected First Nations children, with a particular focus on education. The author focuses his attention on the residential school system and its disastrous, horrifying effects. Angus combines first-hand observations with in-depth research into government documents. His narrative through-line involves the inspiring and tragic story of Shannen Koostachin, a teenaged activist who, until her untimely death in a car accident, became the unlikely leader of a growing national youth movement to provide a decent education to First Nations children. As MP for Timmins–James Bay, which includes the Attawapiskat First Nation, a remote community that has become inextricably linked to these issues in the public consciousness, Angus is intimately familiar with the issues he addresses. It is also clear, reading between the lines and watching his performance in Parliament over the years, that Angus has strong opinions. His outrage and desire for change animate this book, but Angus resists what must have been an overwhelming urge to turn Children of the Broken Treaty into a screed. Instead, the author provides a journalistically sound, measured treatment of his story. Before entering politics, Angus wrote books, co-founded a magazine, and was a musician, experience that has informed the writing of this book. He approaches his subject not as a politician seeking re-election or self-aggrandizement, but as an inquisitive non-fiction author. Angus inserts himself into the story only when absolutely necessary. His relative detachment allows the reader to focus on the very upsetting facts he offers up, not on his own persona. It also runs counter to what we would expect from most politicians. In lesser hands, the book could also have veered into something more maudlin. Angus was close to Koostachin: she and her sister lived with the politician and his family for a time after they left Attawapiskat in their early teens to attend provincially funded public high schools instead of the utterly decrepit and criminally underfunded community school. Still, Angus avoids turning the book into a memoir of this period, mentioning only a few salient details in this regard. Perhaps most remarkably, Angus largely avoids partisan politics. You would be right to expect that a book by a politician, especially one embroiled in an election campaign, would use the platform to take shots at opponents and make the case for his own party. Angus does neither. He assigns blame to both contemporary politicians and long-dead bureaucrats and argues persuasively for what ought to be done to correct the institutionalized inequitable treatment of First Nations peoples. The care and professionalism shown by Angus throughout Children of the Broken Treaty make this more than just a book with a worthy subject that should be read by as many Canadians as possible. It is an exemplary piece of writing and reporting that merits attention from the country’s many non-fiction writing prizes. 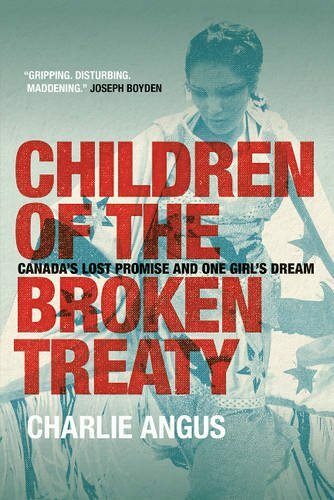 Children of the Broken Treaty is a legitimate must-read.